At MVL, we build on a Partnership for Christian Lives that makes a difference for 200 students and their families each year. 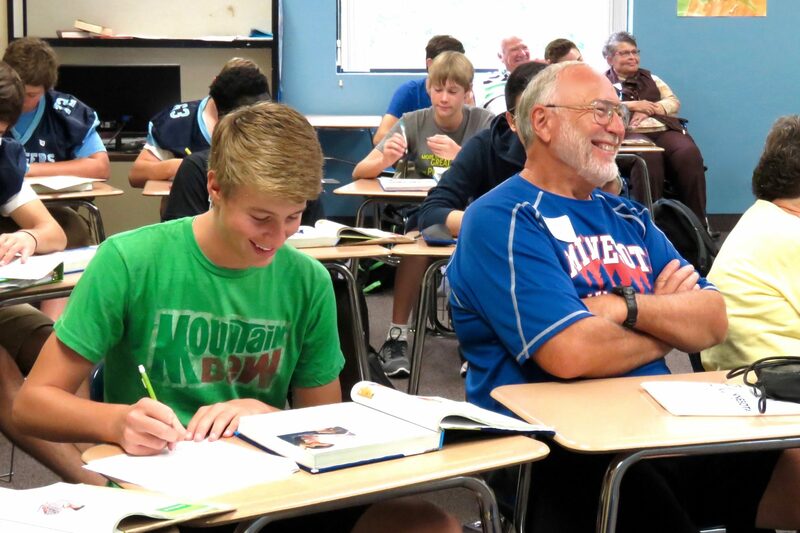 Students learn and grow spiritually in classes, athletics, activities, and social events. These students are guided by dedicated Christian teachers and coaches. Each year MVL graduates move on to college, the military, or other vocations, prepared to live as Christians. MVL students will make a difference in churches and communities near and far. MVL changes lives. While it costs $10,500 each year to educate a student at MVL, tuition and association support cover $10,000 of that amount. This leaves a $500 gap. Every $500 given to the MVL Partnership Fund completes the funding story for one MVL student. A gift to the MVL Partnership Fund is an opportunity for giving that will make a measurable difference in the lives of our MVL students. This school year, we have a special anniversary goal of $40,000 for the Partnership Fund. We’re calling it $40 for 40. We invite you to respond to this opportunity by becoming an MVL partner. This partnership impacts students today, yet will bear fruit and multiply for years to come.